Some people need to see it before they believe it. Some people believe it and they see it. Since I was a little girl, I love to play with the energy between my hands, I didn’t know what it was about, but I just love that pausing sensation. As I came to learn about crystals and how they also contain energy, I was intrigued. Growing up in Chinese culture, the concept of “Chi”, which means energy, is something rather common and natural to us. Chi Gong is a very well known and widely practiced ancient healing modality. “Chi” is also a fundamental concept in Chinese herbal medicine. So I guess I have an easy start with energy-related healing modalities. Is “Chi” visible? No. Not to our naked eyes. But is it real? I think so. Is “Love” real? Definitely. But can we see it? I guess not! It is the expression of love we see and experience. 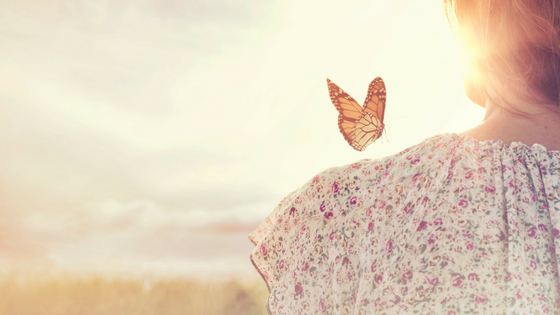 As with energy healing, once again, it is about the experience. For me, if a healing session brings me more peace, ease and comfort, or more energy and balance, it is just simply a bliss. For some, it can help with past trauma, emotional and physical issues, anxiety and depression, and without any drugs or invasive procedures, it certainly is a worth-considering experience. 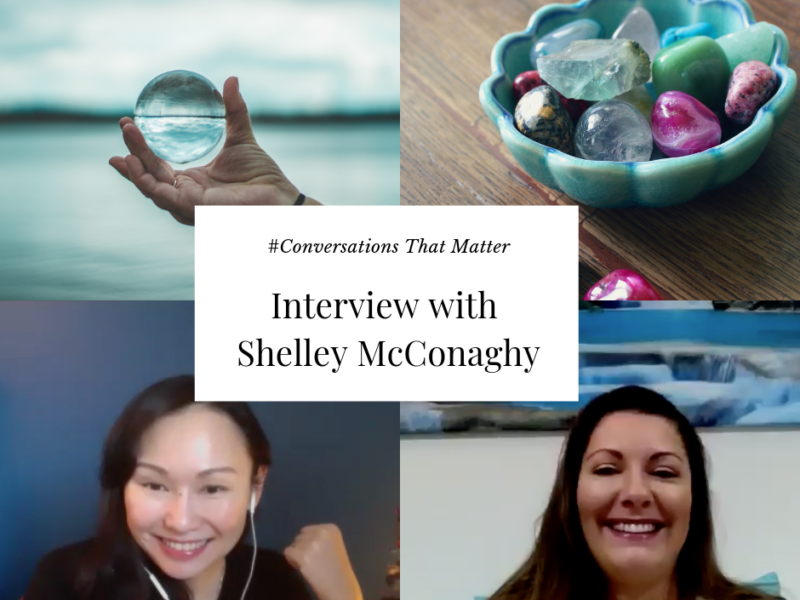 This is what my interview with Shelley McConaghy is about. The healing experience. Shelley is an energy and crystal healer. Her first encounter with crystals was during a vacation when she was 8. Many years later, she took a two-day course on crystals and she fell in love with the energy and the whole healing aspect of them. Eventually, she became a professional healer and make crystals and energy healing as her work of passion. In our interview, we also talked about how she now offer duo practitioners healing with her life partner, to bring in both feminine and masculine energy in the healing session. Now, speaking about her life partner, she told us about their love story, for instance, how they met and eventually work together, which is also truly magical. Universe has a plan for each for us. Sometimes we just don’t know it yet, but all will be revealed at the right time and right place. If we force our way into things or fixed on the ways how things should turn out, we will just end up with frustrations and disappointment. You can listen to this week’s podcast on the top of this post, or on iTunes or any major podcast catcher. You can also watch our interview below. If you enjoy my vidoes, please subscribe to my YouTube channel and Podcast so you won’t miss a show! Last thing, if you haven’t signed up to my mailing list to get the inner circle news and my free eBook: 21 Days of Inspiration, make sure you sign up here!